The "Big Story" in Memphis, as anyone who has not been living under a rock or in a million dollar fortified château in Abbottabad, Pakistan would know, is the Great Flood of 2011. 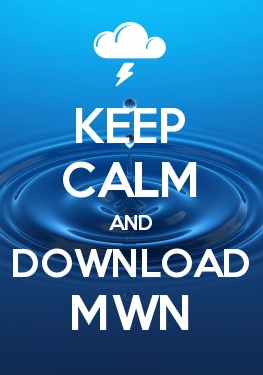 MWN has been updating you on Facebook and Twitter as the water levels continue to increase the past couple of weeks. We also have deployed the MWN Flood Center to provide meteorological information behind the flooding, as well as a set of resources we use. Below are a list of some of those fantastic resources. There's no way to cover the now-historic flooding from every angle, so we'll provide some links and let your fingers do the clicking. First the facts: the Mississippi River is at 46.3 feet on the Memphis gauge at 3pm, which is above the Major Flood stage level of 46 feet and 12 feet above "normal" flood stage. It is now at the second highest level ever attained in Memphis (surpassing the flood of 1927 earlier today). Only the 1937 flood saw higher water, at a record stage of 48.7 feet. The forecast calls for a crest at 48 feet on May 11, less than a foot shy of that all-time record. I am not totally convinced that the river will stop at 48 feet. It's currently rising slightly faster than the forecast calls for. Since this is a "weather blog," the angle that is appropriate to be addressed from our perspective is the chain of events that caused the flooding in the first place. 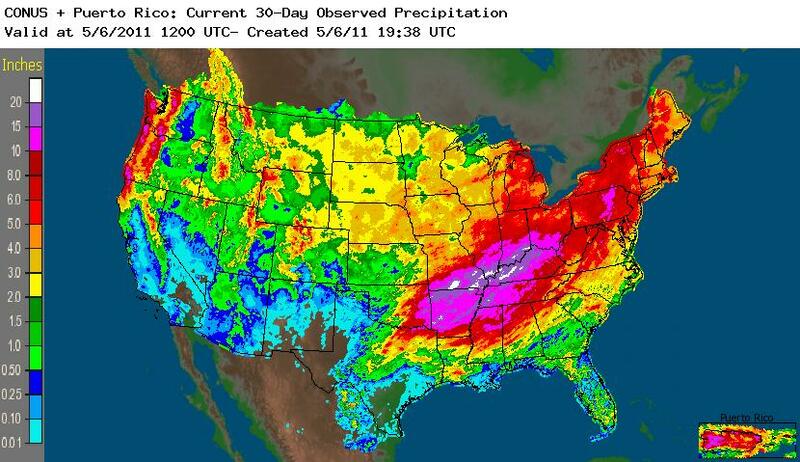 It is important to point out that it is not just the Mid-South dealing with major flooding. The map below is a snapshot of locations throughout the Mississippi and Ohio River Valleys that are in flood (as well as a number of locations along the Red River in the Northern Plains). All of the locations north of the Mid-South feed south eventually, so it's not a problem that will go away quickly. It all starts back in the winter of 2010-2011... you'll recall that it was an especially long winter in many areas of the country - cold and snowy. The map below shows national snow cover on a mid-winter day (February 10). 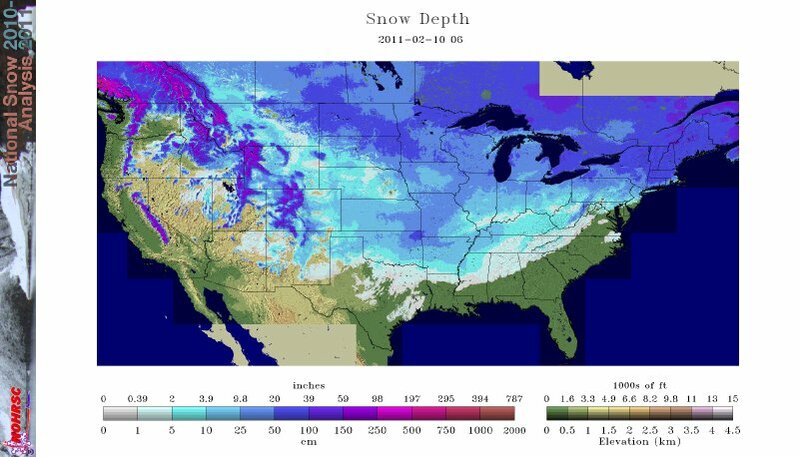 Notice that the Northern Plains is under deep snow of 20"+ while even southern portions of the U.S., including the Mid-South, had snow on the ground. When snow melts, it heads for the oceans, via large rivers and their tributaries. 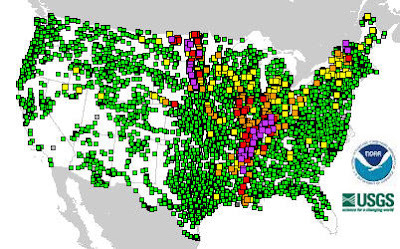 Those large rivers in the eastern U.S. are the Missouri, Ohio, and Mississippi. Snowmelt is one cause for the large amounts of water coming downstream. The second cause for flooding that is taking place all along the Mid and Lower Mississippi River Valley is excessive spring rainfall. 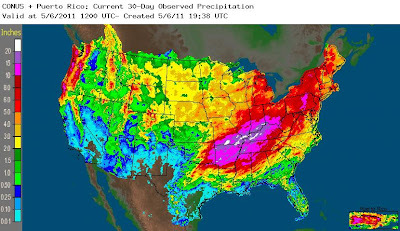 The next map shows total precipitation that has occurred in the past 30 days. Amounts of 10-20" are common from the Ohio Valley into the Mid-South. This excessive recent rainfall created vast amounts of runoff, which in turn filled up local creeks, streams, and rivers, which feed the larger rivers. The combination of these events (excessive local rainfall and large amounts of snowmelt) have created a sort of "perfect storm" of water. Last week, tributary flooding was a serious issue, especially in eastern Shelby County, due to the excessive runoff from heavy rain. Now that the runoff is gone, the focus shifts to the west and the rising Mississippi, which in turn is backing up water into the tributaries and causing water in the Wolf, Nonconnah, and Loosahatchie Rivers to rise from west to east. water.weather.gov - the National Weather Service's AHPS system, which produces river readings and forecasts for the entire U.S.
StaySafeShelby.us - The Shelby County Office of Preparedness website that is likely the most comprehensive source of information available for those in Shelby County. Includes excellent flood maps by zip code. MemphisFlood.com - the river has it's own website! Good up-to-date resource for everything Memphis Flood. Those in neighboring counties should check with local authorities for flood risks, maps, etc. for their area. A couple links for suburban counties are posted in the MWN Flood Center. Do you have additional links you want to share? Or perhaps comments on living through the Great Flood? Post them below!